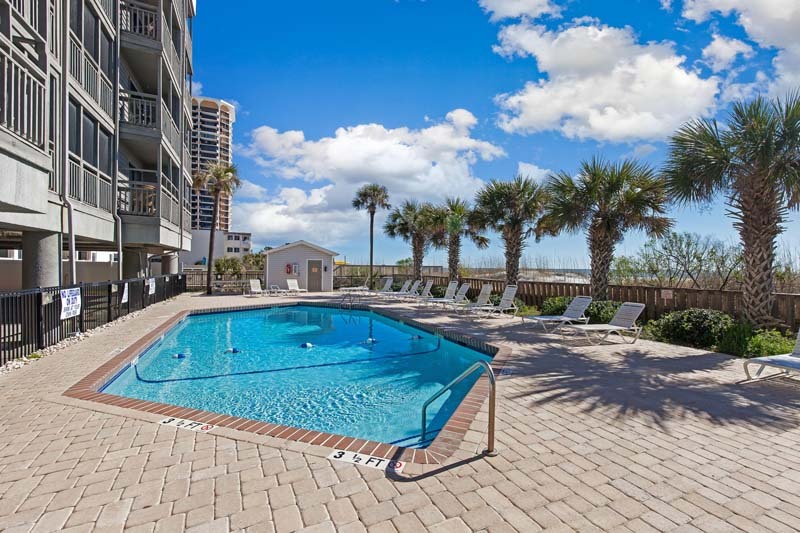 With mode accommodations for up to eight and great location right across from the beach, the condos of Pelicans Landing are ideal for a fun-filled beach vacation. 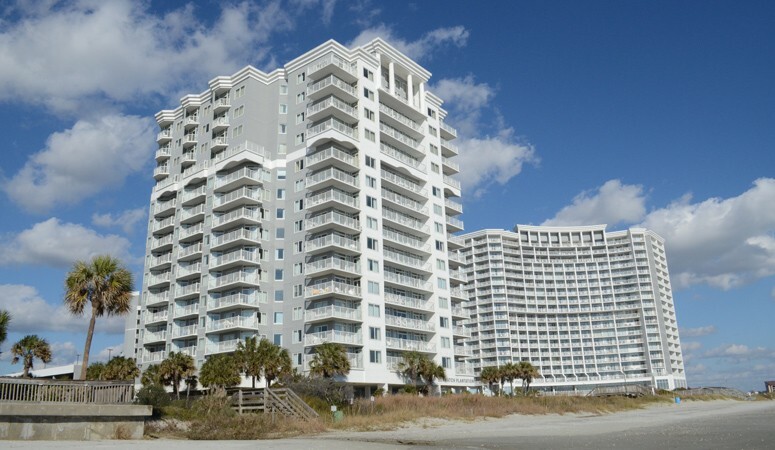 The Shore Drive neighborhood offers convenient location to popular Myrtle Beach attractions like the Myrtle Beach Boardwalk or Broadway at the Beach, and fun times at the Apache Pier are only a block away. 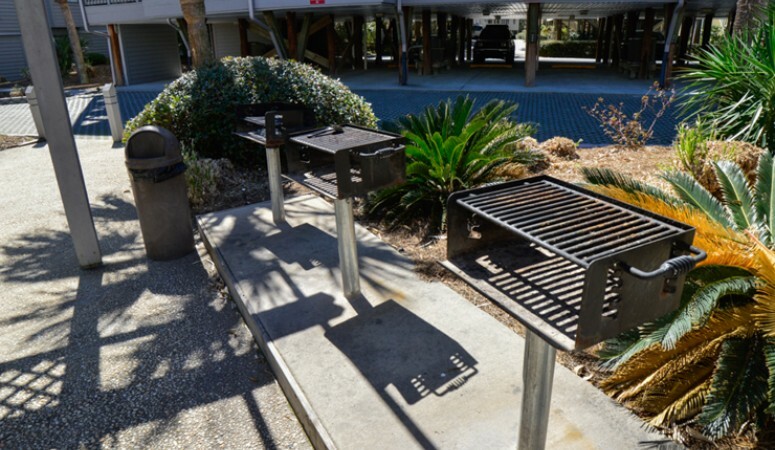 Guests of Pelicans Landing have access to a large oceanfront pool, putting green and BBQ grilling facilities. 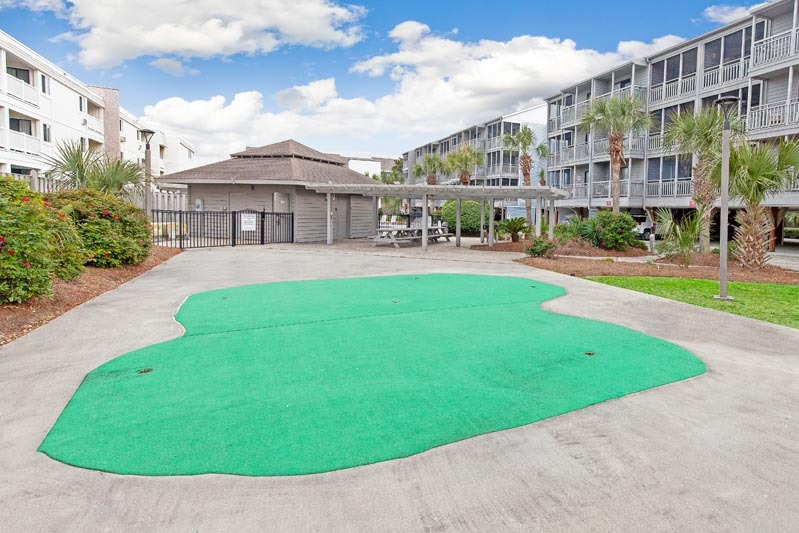 Inside your vacation condo, a fully-equipped kitchen, washer/dryer and multiple TVs with cable round out the mode conveniences at your disposal. 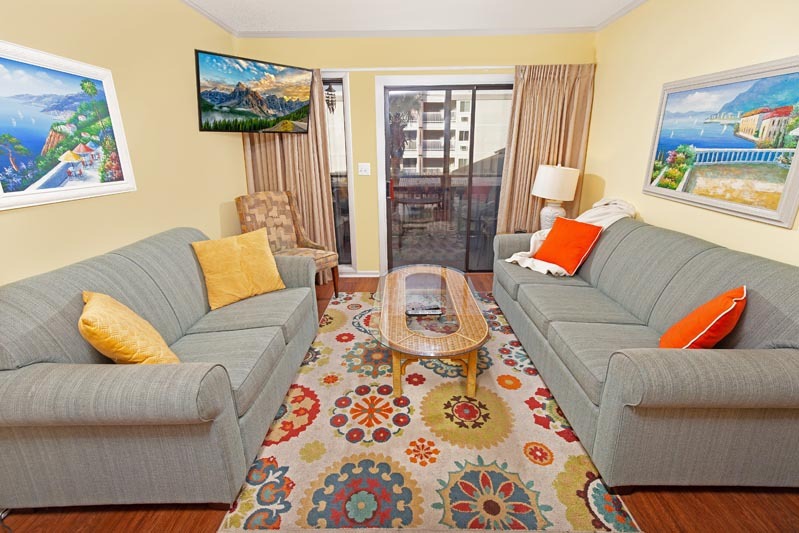 A full living area with sleeper sofa and love seat provides comfy places to lounge while inside, and great views are waiting off your condo's private screened-in balcony area. The dining area offers seating for six. Bedding in the condo consists of a queen bed in the master and first guest bedrooms and two twins in the second guest bedroom. Up to six guests are easily and comfortably accommodated. 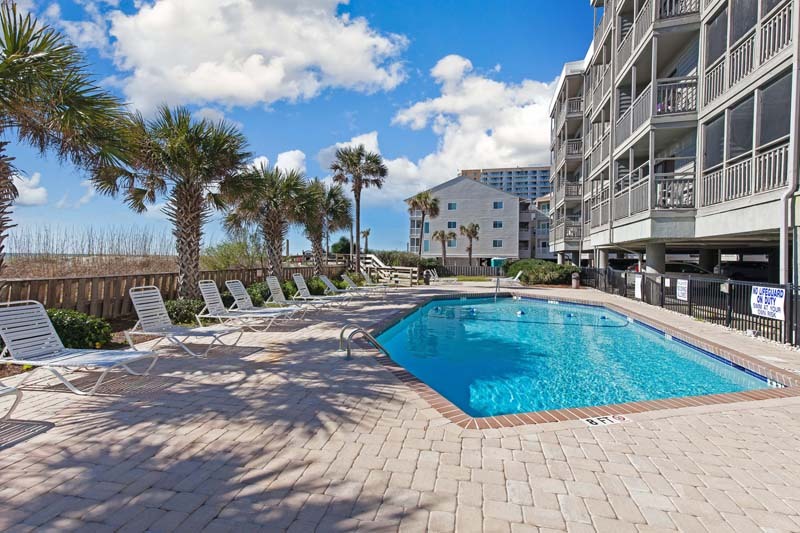 For your next Myrtle Beach vacation, book a stay with the great condos of Pelicans Landing! 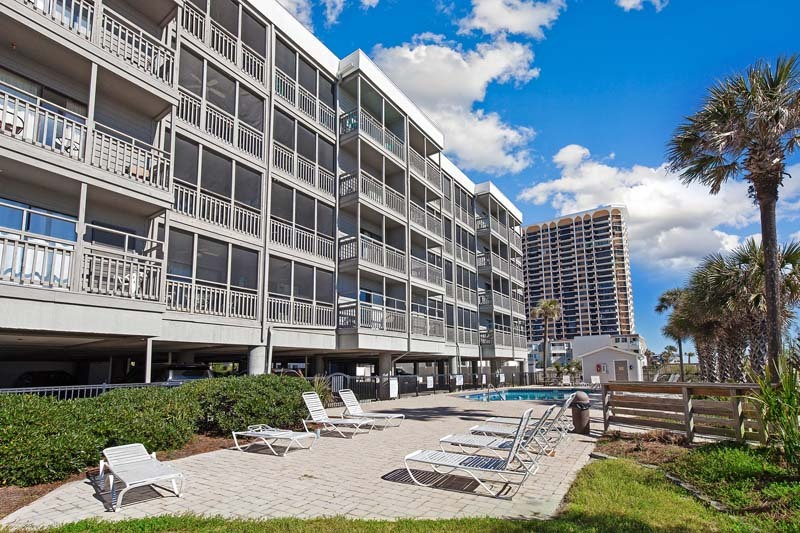 3 BEDROOM / 2.5 BATH CONDO- SECOND ROW Pelicans Landing offers guests a superb location with cozy accommodations in Unit 125, a 3 bedroom, 2.5 bathroom condo on the north end of Myrtle Beach. 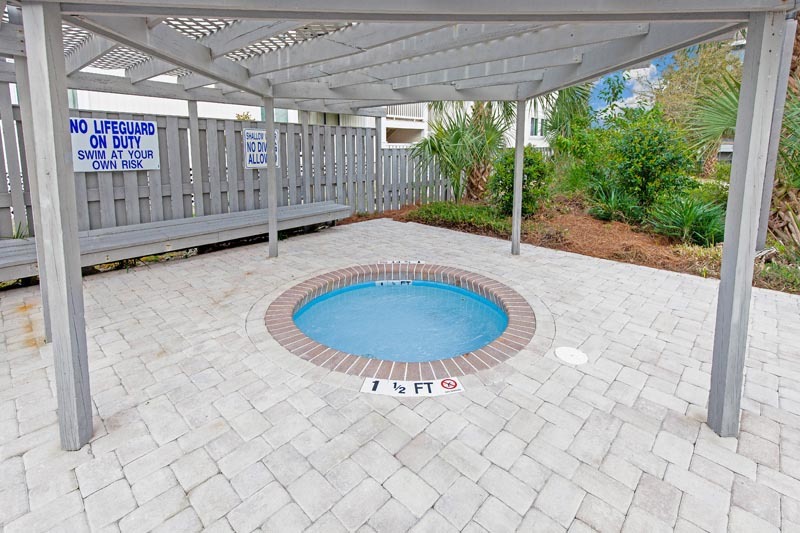 Only 2 miles from Tanger Outlet shopping, within walking distance to the ocean, and nestled in a quiet corner of the coast, this unit offers comfortable accommodations for up to 6 guests. Bedding arrangements include 2 Queen beds and 2 twins. 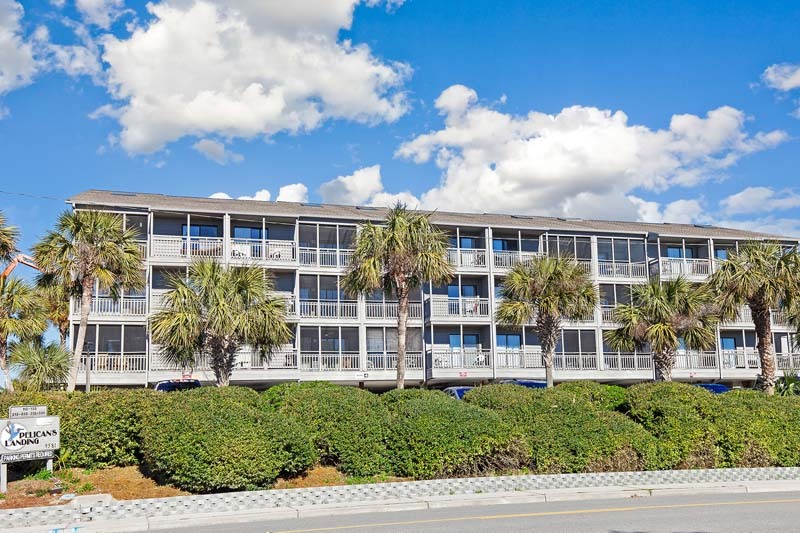 This first floor condo has a fully-equipped kitchen, including major appliances like microwave and dishwasher, as well as cookware and flatware. 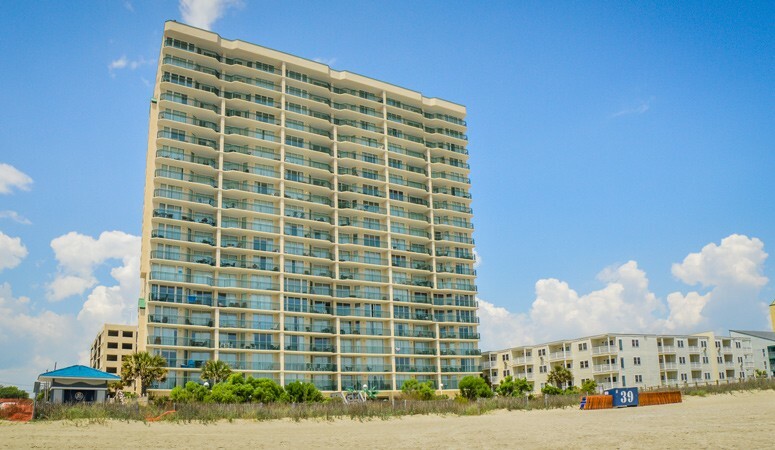 For the guest's convenience the condo contains multiple TVs, DVD player, and a private balcony. 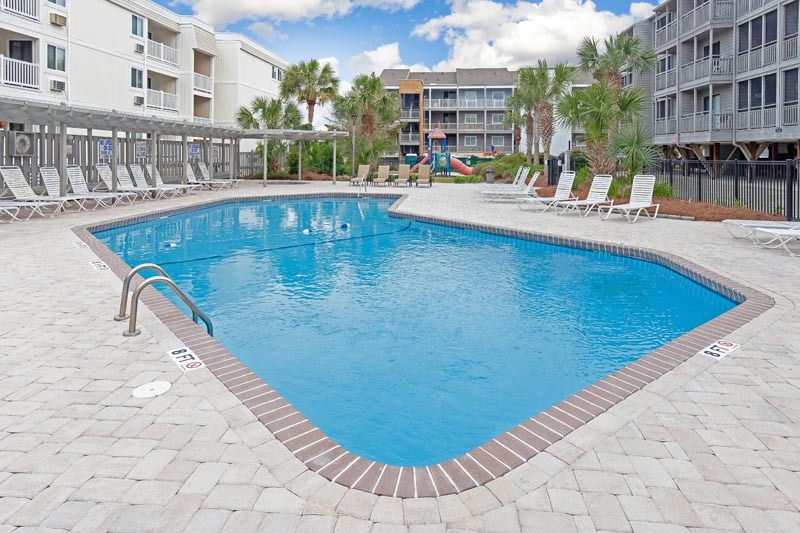 Enjoy the on-site outdoor pool, or walk across the street to the beach! 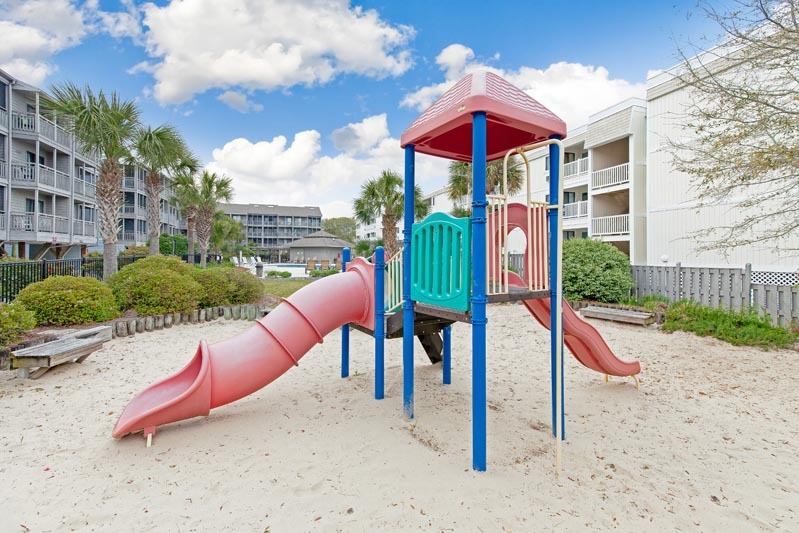 3 BEDROOM / 2.5 BATH CONDO- SECOND ROW Pelicans Landing offers guests a superb location with cozy accommodations in condo 215, a 3 bedroom, 2.5 bathroom condo on the north end of Myrtle Beach. 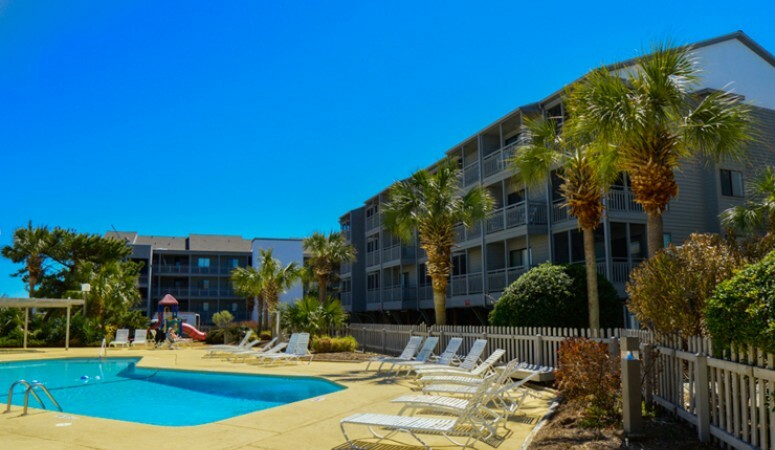 Only 2 miles from Tanger Outlet shopping, within walking distance to the ocean, and nestled in a quiet corner of the coast, this condo offers comfortable accommodations for up to 6 guests. Bedding arrangements include 2 Queen beds and 2 twins. 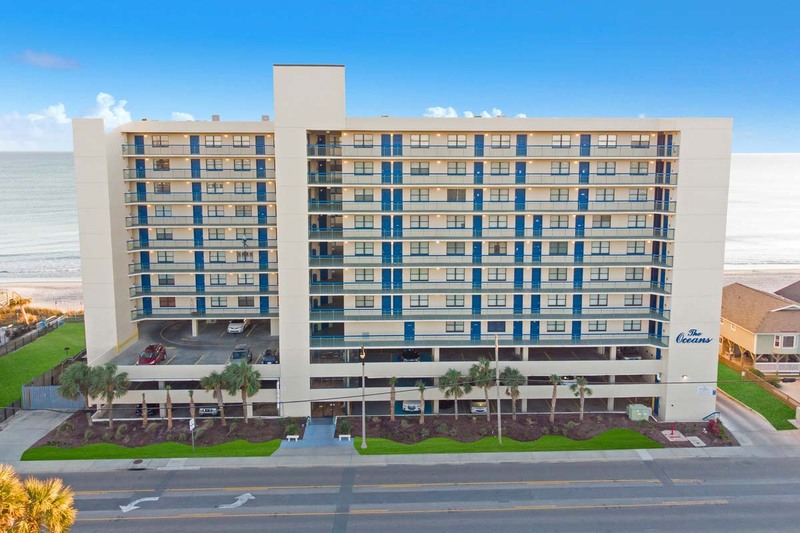 This second floor condo has a fully-equipped kitchen, including major appliances like microwave and dishwasher, as well as cookware and flatware. 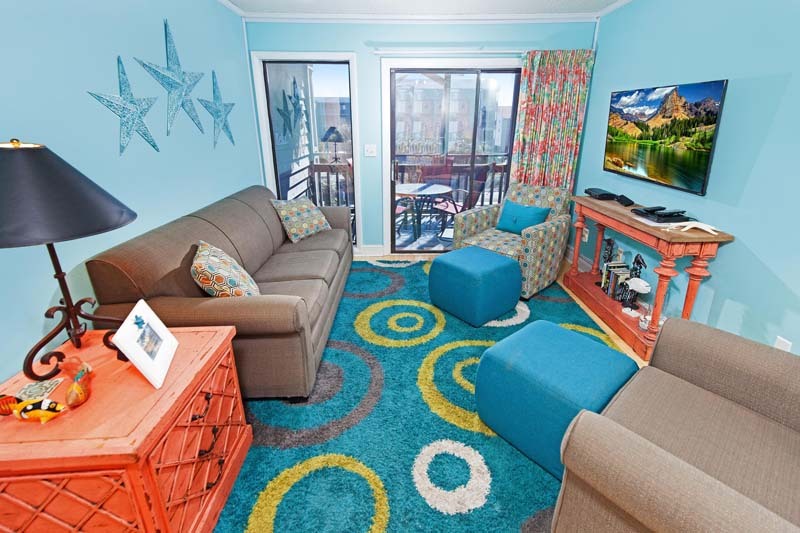 For the guest's convenience the condo contains multiple TVs, DVD player, and a private balcony. 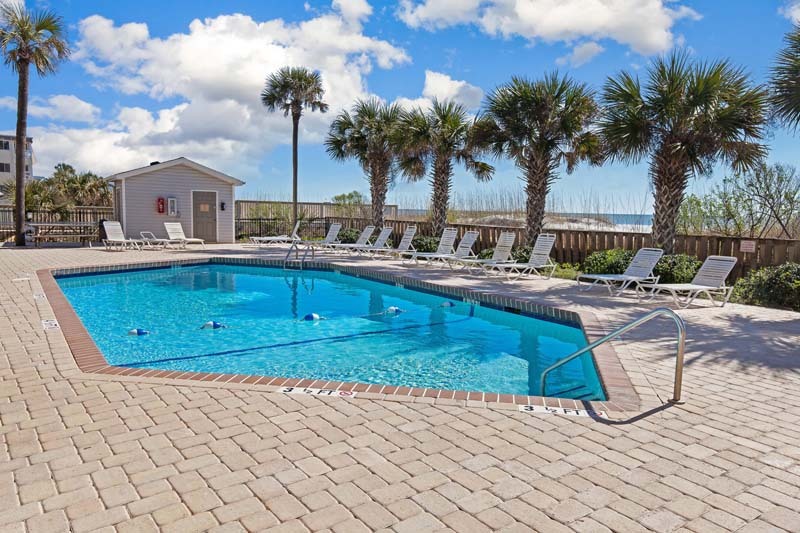 Enjoy the on-site outdoor pool, or walk across the street to the beach!